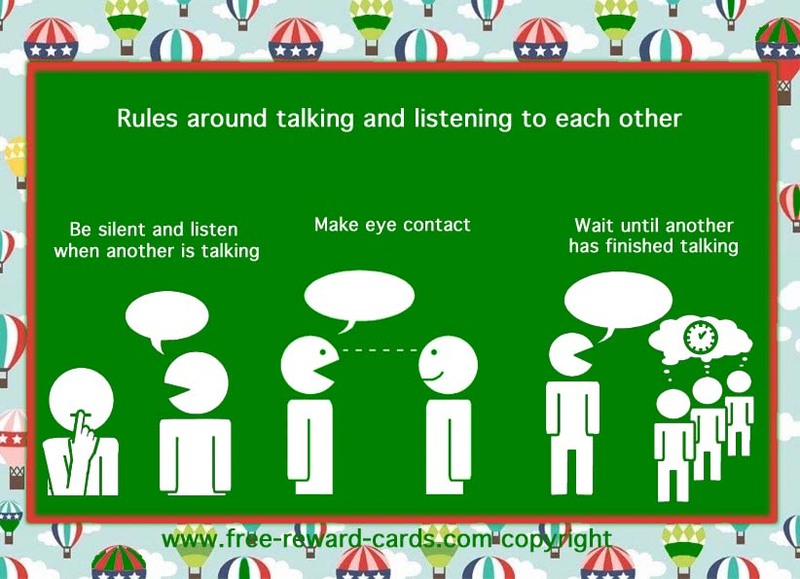 This free printable card with pictograms visualizes the rules around talking and listening to each other. You see the three main agreements: 1 Be silent and listen as another speaks. 2 Make eye contact. 3 Wait until the other person has finished talking before you start talking. This card is handy to use for children at home, but can naturally also be used at school, nursery or other groups. The parenting cards on www.free-reward-cards.com stimulate positive parenting.